The Field Effect was founded and is led by David Field, an acknowledged expert in clearing and collateral management. With over 20 years financial services consulting experience, David has led many clearing and collateral advisory projects across buy-side, sell-side, CCPs and custodians, spanning strategy, target operating model and technology. He speaks at numerous industry conferences and is frequently quoted in financial services media. Before founding The Field Effect, David was a main board member and shareholder of Rule Financial. Joining in 2004 as MD he helped grow Rule to become the leading investment banking consultancy with over 800 people, until its acquisition by GFT in 2014. Prior to Rule Financial, David spent 12 years at TCA Consulting where he served the board as head of the wholesale & investment banking practice. Ian Weavers joined The Field Effect after 35 years working in technology and financial services. He specialises in helping clients develop and plan the implementation of strategic change to achieve their business vision. He has developed a client focused business operating model and planning design process that has been executed over 60 times in 20 financial institutions, most recently in clearing, collateral management and securities finance for sell-side, buy-side, and industry utilities. Prior to joining TFE Ian held senior roles at Standard Chartered, UBS, Prudential and two consulting firms, Terence Chapman Associates (TCA) and Rule Financial (now GFT Financial). With a broad background across Investment Banking, Commodities and Corporate sectors Julian has extensive experience working with clients to support innovation and business solutions across the enterprise. Julian is a successful Sales and Business Development Manager seeking to build long standing customer relationships founded on trust and business engagement, working proactively to identify key business needs and the solutions necessary to meet tactical and strategic requirements. 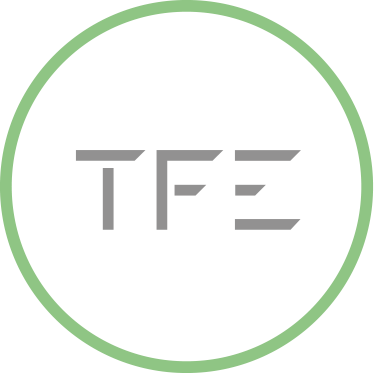 Prior to TFE Julian has spent over 15 years across Investment Banking and Capital Markets enterprise technology software vendors. Julian has direct experience across front, middle and back office founded in the financial sector and enterprise technology solution sales. Mark joined The Field Effect with over 20 years senior executive experience in securities finance. Most recently Mark was Managing Director of Equity Finance, Liquidity Finance & Derivatives at RBS. Prior to RBS Mark spent 16 years at Morgan Stanley. Mark will be leading the Securities Financing practice at The Field Effect. His specialisms include; collateral management, securities finance, prime brokerage, regulation & liquidity management. Prior to joining TFE Simon worked for Morgan Stanley, Deutsche Bank and Fortis. Madhvi is a business analyst with over 10 years of experience within the fast-paced dynamic financial institutions including Lloyds Banking Group, Barclays and UBS where she delivered a wide range of both business and technical projects. She is experienced in dealing with 3rd party software suppliers, external/offshore stakeholders and outsource providers with an ability to see and understand the bigger picture when making decisions. She has an equities financing background, including Pirum on-boarding, EquiLend apps and Global One.